GamesRadar have posted a review of NBA 2K12, becoming the first publication to award the game a perfect score of 10/10. The review praises NBA’s Greatest, enhanced gameplay, improved My Player and presentation in this year’s game, though the reviewer notably has not spent time with the game’s online modes. 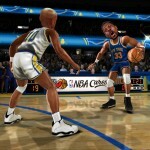 What’s your take on the scores NBA 2K12 has been receiving? What are your impressions of the game? 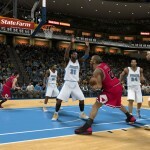 Join in the discussion in the NBA 2K12 section of the NLSC Forum. The modding community is also gearing up to create updates for the game (at this time some tools still need to be updated), so stay tuned to the Releases & Previews section and look out for the first file additions for NBA 2K12 to be posted here soon. NBA Jam: On Fire Edition is out now on Xbox Live and the PlayStation Network at a cost of 1200 Microsoft Points or $14.99. Downloadable content is also already available for the game in the form of the “Time is Money” pack, which allows you to unlock every legend, mascot, privilege and 12+ special teams along with a bonus 10,000 JAM Bucks to continue unlocking content from the in-game JAM Store. The DLC costs $4.99 on PSN and 400 Microsoft Points on XBL. Additionally, if you have a save file from last year’s game, you are instantly rewarded with 15,000 JAM Bucks and level up to Level 10 straight away. If you’ve picked up the game, we invite you to share your impressions in this thread in The Virtual Hardwood. In addition to his Play of the Day feature, Da Czar has also started a new Strategy Sessions series of videos. 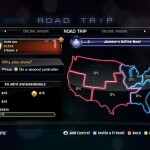 The first one offers tips on practicing plays in NBA 2K12. You can discuss Czar’s videos in this thread in the NLSC Forum. Also be sure to check out his blog here. With NBA 2K12 finally here, things are set to get really busy around these parts. Reviews, blogs and feature articles are pouring in, here are a few you may be interested in checking out. First of all, ESPN.com’s Jon Robinson conducted an interview with cover player Michael Jordan, who spoke about his influence on the game, his satisfaction in how he is represented and his thoughts on the inclusion of the other legends involved in NBA’s Greatest. MJ notably expresses disappointment that Charles Barkley could not be included in the game. GameInformer have posted their review of NBA 2K12, awarding it a score of 9.5/10 (the same score IGN gave the game) and dubbed it “the best basketball sim ever”. It does note issues with online play and bemoans the lockout’s effect on the game’s current rosters, but as the score would indicate it is an overwhelmingly positive review on the whole. Finally, Ronnie 2K has also posted an entry over on the official PlayStation blog, detailing the PlayStation Move controls in NBA 2K12 and touting some of the key features of this year’s game. Discuss all of these articles in the NBA 2K12 section of the Forum and don’t forget to check out JaoSming’s impressions of the game right here on the main page, as well as share your opinions here. GameSpot have posted a video offering another preview of NBA Jam: On Fire Edition, including a chat with producer Cody Sawatsky. Check it out here if you can’t see the video. 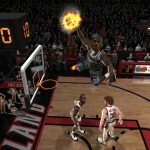 Look out for my impressions of NBA Jam: On Fire Edition to be posted soon. NBA Jam: On Fire Edition was released yesterday on the PlayStation Network and is out today on Xbox Live. As such, EA Sports have released a new trailer to celebrate the launch. Click here to watch the video on the NLSC’s YouTube channel if you can’t see the embedded video. Remember you can discuss the trailer and all aspects of NBA Jam: On Fire Edition in The Virtual Hardwood section of the NLSC Forum. 2K Sports have released a new trailer to celebrate the launch of NBA 2K12. If you can’t view the embedded video, click here to watch it on our YouTube channel. Feel free to post any thoughts below in the comments or here in the Forum; thanks to Phraynk for the heads up. NBA Jam: On Fire Edition comes out today on the PlayStation Network and will be available at a cost of $14.99. Xbox 360 users will be able to get the game tomorrow for 1200 Microsoft Points. I’ve actually received a copy of the game and will be posting some impressions within the next day or so. In the meantime, you can check out a Quick Look at the game courtesy of Giant Bomb, which includes a game between the Los Angeles Lakers and the New York Knicks. GameSpot have also posted their review of the Xbox 360 version, awarding it a score of 8.5 out of 10, praising several aspects of the game but opining that there is still some cheapness to the AI. Don’t forget that you can discuss NBA Jam: On Fire Edition in The Virtual Hardwood section of the NLSC Forum. Da Czar has posted the next video in his NBA 2K12 Play of the Day series, this time spotlighting the Washington Wizards. Be sure to check it out and add your thoughts here in the Forum. If you can’t see the embedded video, please click here to watch it over on YouTube. The wait is finally over! 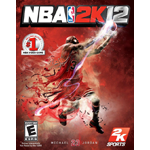 NBA 2K12 is out today in North America on PC, PlayStation 2, PlayStation 3, PlayStation Portable, Wii and Xbox 360. Several gamers have already picked up their copy thanks to midnight releases, so no doubt we can expect an influx of impressions, reviews and user videos in the near future. Unfortunately for me it seems Aussie stores are adhering to the street date, so I won’t get my hands on the game until this Friday. However, I’m sure other members of the NLSC Team will be posting their impressions in the meantime. With the game out, I’d like to invite everyone to join in discussion in the NBA 2K12 section of the NLSC Forum. If you’d just like to declare that you’ve picked up your copy, you may do so in this thread. To post quick thoughts on the game or post a question for folks who have the game, please use this thread. For anything and everything else, by all means feel free to create new threads as appropriate. If you’ve got any content you’d like to share, be it a review for The Soapbox or perhaps a video, please drop us a line. 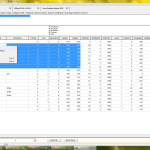 Vl@d Zola Jr. has released v2.3 of REDitor II for NBA 2K11 and NBA 2K10, the final release before NBA 2K12 comes out. The latest version adds some new fields for the NBA 2K11 Xbox 360 roster tables, adds the ability to use Association and My Player files from the Xbox 360 version with the Roster Exchanger and fixed a glitch which caused all names to be blanked on rare occasions. You can get the latest version here in our Downloads database. Be sure to check out Vl@d’s release thread for REDitor II here in the NBA 2K11 section of the NLSC Forum for support and additional release notes. 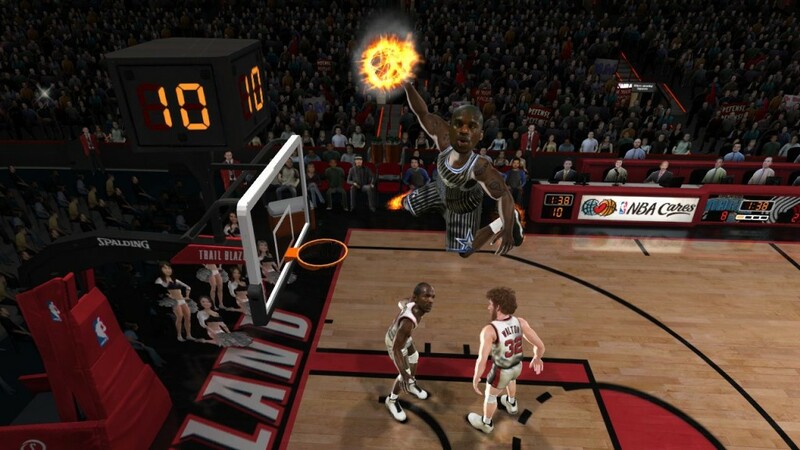 IGN have posted their review of the Xbox 360 version of NBA Jam: On Fire Edition. The review praises the addition of Team Fire, new career mode and Real AI, going so far as to call the game “better than any of the previous games in the series’ history” while awarding it a score of 9 out of 10. Check out the review and post your response below or in this thread in The Virtual Hardwood section of the NLSC Forum. NBA Jam: On Fire Edition will be available on the PlayStation Network tomorrow at a cost of $14.99 and released on Xbox Live the day afterwards with a price tag of 1200 Microsoft Points. As we prepare for a new “season” of modding with NBA 2K12’s impending release, we have expanded our Downloads section to include categories for NBA 2K12. To start things off, you can find the official game manuals released by 2K Sports here. For those who are unaware, our new Downloads section allows user uploads for anyone who has an active Forum account, which means we can provide 100% free file hosting to the community along with a listing in our database. Files will not be deleted after any period of inactivity, so you don’t have to worry about anything going missing as time goes by. Whether you’re planning on making updates for NBA 2K12 or still updating an older basketball game, all submissions are most welcome. We hope that you enjoy the facilities of our Downloads section and find them easy to use, if you do run into any issues or need hosting for a file larger than 100 MB, please drop me a line. 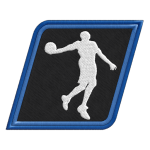 In preparation for NBA 2K12’s release, we’ve expanded the NBA 2K12 section of the NLSC Forum to include our standard subsections for the modding community: Patching Help & Requests, Releases & Previews, Total Conversions and Tutorials. All other topics of discussion belong in the main NBA 2K12 section. We’ve also moved our NBA 2K11 section to the Previous Games category, retaining all of its subsections. We’ve also made a small change to user profiles to reflect our new focus on basketball video games and not just NBA Live. The “Favourite NBA Live(s)” field is now “Favourite Basketball Video Games”, so for all those who like to list that kind of info in their Forum profile, you may now want to update it accordingly. With the release of NBA Jam: On Fire Edition on Xbox Live and the PlayStation Network right around the corner, EA Sports have released five new screenshots. The latest screens highlight some of the special players and legends that will be unlockable in this year’s game. You can check them out in our gallery and join in the discussion here in the Forum.